Many of you have been in touch with burning questions regarding an iOS 6 / 6.0.1 jailbreak on iPhone 5 and other devices, or specifically, when it would be arriving. Hence this post, in which we’ll run through the story so far and hopefully, clarify things a little further. 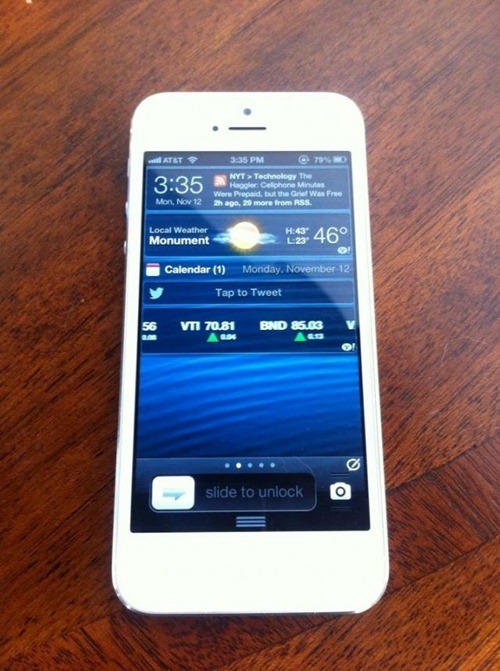 Last year, iOS 5 arrived – along with the iPhone 4S – in October, and by the end of December, the work of the jailbreak world’s finest devs had seen the Corona untether released for those on A4-powered devices. A couple of weeks later, Absinthe covered the newer iPhone and iPad, presenting one of those wonderful scenarios where every iOS device on the market could be jailbroken, fully-untethered. In this constant cat-and-mouse battle, though, things aren’t as clear-cut as a jailbreak releasing like clockwork, so shortly after Apple has released a new firmware. In fact, with each new release, Apple’s security gets that little bit tighter, and the jailbreak developers – talented though they are – are not miracle workers. Newer and more robust security measures take extra time to break down, and although attempts are being made to breach iOS 6, it’s a work in progress. There have been some encouraging signs over the past couple of months. At JailbreakCon 2012, Pod2g stated that as far as work on iOS 6 goes, he had some "partial injection data," which would usually present itself as a key breakthrough in the progress of a jailbreak. However, since Apple had reportedly patched the override plist file, this particular finding is currently of limited use. As an analogy, imagine the process of getting a fully untethered jailbreak on iOS 6 is like obtaining the key to five doors; he has the key to the second door, but without the key to the first door, no progress can really be made. Since then, things have been decidedly quiet. Pod2g, MuscleNerd, Planetbeing and other devs joined forces for the Hack in the Box conference held in Kuala Lumpur a month or so ago. Topic of discussion was primarily concerning the iOS 6 untethered jailbreak, but fellow attendee and security expert Mark Dowd reiterated the point that Apple has basically reworked the system of security in iOS 6. As such, it’s now a great deal more trying for kernel exploits to be written in comparison to older iOS iterations. Pod2g revealed at HITB that he was working on a userland patch, and trying to source a vulnerability in order to execute code. Grant Paul a.k.a chpwn may have created his very own "failbreak" exploit on the launch day of iPhone 5, enabling jailbreak devs teams (even on newer device like iPad 4 and iPad mini) to work on public jailbreaks each future version of iOS 6, but unfortunately, it doesn’t seem as though it’ll be arriving anytime soon. More recently, it seemed like some progress had been made when Planetbeing tweeted a picture of his iPhone 5 jailbreak running tweaks from Cydia, but since then he hasn’t provided any further update on it. Can’t say too much, but we’re still missing critical pieces so it’s not releasable right now. Believe me, we’d love to release it asap. We will, of course, keep you in the loop should we get even the slightest sniff of progress, but until then, all we can do is sit tight and hope. In the meantime, those of you on Pre-A5 devices such as the iPhone 4, iPhone 3GS and iPod touch 4G can still tether-jailbreak using either Redsn0w or Sn0wbreeze. For instructions, you can always follow our detailed jailbreak iOS 6 and jailbreak 6.0.1 guides posted on the site.